Hello and good morning, friends! 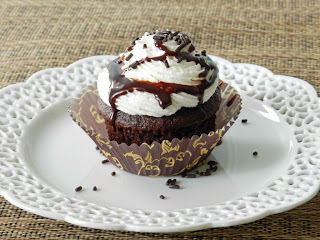 :) I am going to be a huge partier and am hosting not one but TWO linky parties on the blog today! I was honored when Lorraine from Cookin' For the Seven Dwarfs emailed me about co-hosting her Sweet & Savoury party today. Some of you all may already know Lorraine from her Friendship Bread spot over there >>> on my sidebar right now. ;) Make sure you link up your RECIPE posts now, and then stop back this evening at 6pm EST to link up your recipe, DIY, & crafty posts with Marvelous Mondays! 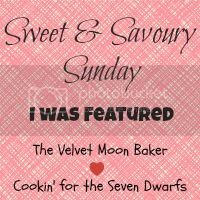 Good morning and welcome to Sweet & Savoury Sundays! 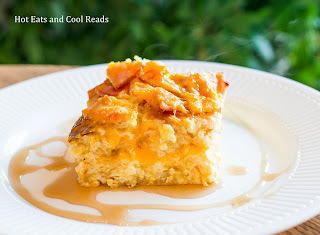 Tash and I love seeing all the recipes you have to share each week and can't wait to see what you bring today! We'd love for you to invite your blogger friends to join in on the party! Now on to our features! If you were featured, make sure and grab our button! Here are the rules: Follow your Hosts and Co-host via Bloglovin', Facebook, or Twitter and leave a comment. Wow..what a sweet Sunday Surprise (try to say that 3 times now, lol) Thank You so much for the feature Lorraine and to all the ladies! You made my Sunday! Have a fantastic week! Oh how fun !!! Thanks for co-hosting...I'll see you again later tonight:! Thanks for hosting. Following via bloglovin'.